GluonNLP provides implementations of the state-of-the-art (SOTA) deep learning models in NLP, and build blocks for text data pipelines and models. GluonNLP is a toolkit that enables easy text preprocessing, datasets loading and neural models building to help you speed up your Natural Language Processing (NLP) research. Tutorial proposal for GluonNLP is accepted at EMNLP 2019, Hong Kong. AWS re:invent 2018 in Las Vegas, 2018-11-28! Checkout details. PyData 2018 NYC, 2018-10-18! Checkout the awesome talk by Sneha Jha. KDD 2018 London, 2018-08-21, Apache MXNet Gluon tutorial! Check out https://kdd18.mxnet.io. Make sure you have Python 2.7 or Python 3.6 and recent version of MXNet. You can install MXNet and GluonNLP using pip. 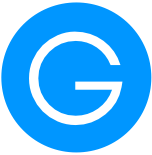 GluonNLP is based on the most recent version of MXNet. Please check more installation details. GluonNLP documentation is available at our website. GluonNLP is a community that believes in sharing. For questions, comments, and bug reports, Github issues is the best way to reach us. We now have a new Slack channel here. (register). GluonNLP community welcomes contributions from anyone! Ask or answer questions on GitHub issues. Propose ideas, or review proposed design ideas on GitHub issues. Contribute bug reports GitHub issues. Write new scripts to reproduce state-of-the-art results. Write new examples to explain key ideas in NLP methods and models. Write new public datasets (license permitting). Most importantly, if you have an idea of how to contribute, then do it! For a list of open starter tasks, check good first issues. Also see our contributing guide on simple how-tos, contribution guidelines and more. Check out how to use GluonNLP for your own research or projects. If you are new to Gluon, please check out our 60-minute crash course. For getting started quickly, refer to notebook runnable examples at Examples. For advanced examples, check out our Scripts. For experienced users, check out our API Notes. New to Deep Learning or NLP? For background knowledge of deep learning or NLP, please refer to the open source book Dive into Deep Learning.